The Effect of Bi-Lateral Aid on Sierra Leone from The United Kingdom-Is this Sustainable? The UK.government provides about £80million to Sierra leone as part of its Bi-lateral Aid through the Department for International Development(DFIT).(DFIT,2009). I am not an admirer of foreign aid.Having witnessed from first hand how these aids are manipulated by both receipient countries and the donors.One impact from experience of such support is the ultimate right of donor countries to influence/interfere into the day-to -day acitivities of the receipient.Also the direct influence these aids have on influencing government policies.This is a case in point with Sierral Leone/West Africa. I listened to the BBC focus on Africa programme on 22/10/10 with curiousity as most news from this region is mostly negative.I was impressed by how a cross section of Sierra Leoneans have reported an improvement in their living standards with the building of a water well and few tiolets(public) which was funded by DFIT.A case study was an area called MABAYLAH,a small community of about 30,000 inhabitants in eastern freetown.The project costed £30,000 for the construction of toilets and wells. When residents in this community were questioned about the benefits of such projects/programmes,i was very touched by the feedback from across the community.These included the following,viz:that the distance previously covered to fetch water is closer.This has minimised violence particularly towards girls/women,it has improved their earnings for those who use water for cooking, as time spent on fetching water can be used to serve customers,it has reduced school lateness and improve attendance as late schooling was due to travelling long distances to fetch water,the general health of the community is improved as hygiene has improved. All the above mentioned benefits are without doubt have imapcted positively on the lifes of the local people.My concren is the sustainblility of such projects/programmes in the long term.To me the following are not sustainable in the long term and maybe an alternative approach to improving on the livelihood of these people may include the following,viz,aid to be given to businesses/private firms who inturn can creat employment for people and inturn provide income.Also reforms in trading policies to help developing countries access to western markets and technologies at cut throat prices.This will help to improve growth in GDP and improvement in the human development of these vulnarable people who have lived on aid post inception of the development agenda. Yesterday’s class made me think about the enclosures that are taking place in today’s world. One of the examples of enclosures in Knowledge and Life was the marketization of education. Once again there was an example of this in Democracy Now that reported on 18th of October, 2010 about how oil companies are now funding universities and their research. Democracy Now reports how big oil companies have made agreements with different universities regarding of their research and how this seriously threatens the independence of academic research. It is worth watching and thinking about how seriously these kinds of agreements influence the actual research findings and what implications do these kinds of agreements have for the future of independent academic research. Is this just another way to prevent us to access something that should belong to us all, knowledge? Somalia is an east African country bounded to the north by the Gulf of Aden, to the south and east by Kenya, to the west by Ethiopia and to the northwest by Djibouti and has a population of 9.8 million. It is a war racked country which had no stable government since the claps of the late overthrown Mohamed Siad Barre in 1992. 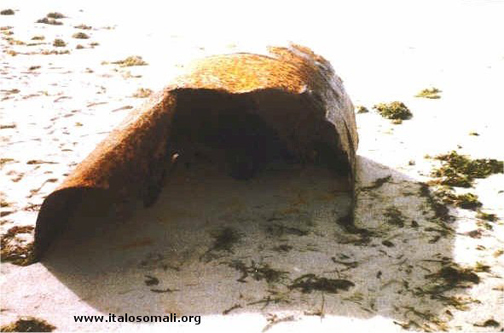 The 2004 tsunami which hit northern Somalia and took the lives of 300 people with thousands of homes, is believed to have also stirred up tonnes of leaking barrels of nuclear and toxic waste on the beaches around North Hobyo , South Mudug and Warsheik (North of Benadir) which were illegally dumped by European firms (United Nations Environment Programme report). The UN assessment mission has recently visited Somali to examine these allegations and reported that a number of people from the northeast towns of Hobbio and Banadir on the Indian Ocean were suffering from illnesses consistent with radiation sickness, likewise respiratory infections, mouth ulcer and bleeding, abdominal haemorrhages and unusual skin infections, widespread cancers and severe birth defects. It is believed that many European firms used the Somali coast in 1992 as a dumping ground but because of the instability and civil war in the country a full assessments of the extent of the problem could have been conducted. The Italian newspaper Famiglia Cristiana published in 1997 articles covering the extent of illegal dumping and stated that it started in the late 1980 and also exposed a swiss firm, Achair partners and an Italian waste broker, Progresso. As the country slipped into civil war, many warlord’s which were former ministers in the last government ( Siad barre’s), received large sums of money and Weapons from Swiss and Italian companies for access to their respective fiefdoms. ‘Many of the ships, having brought weapons or waste, then became trawlers, and left Somali waters with holds full of tuna for onward sale ’. 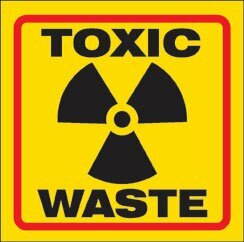 It is believed that materials such as radioactive uranium, lead, cadmium, mercury and industrial, hospital, chemical and many other different toxic wastes were dumped. In 1994 an italian journalist Ilaria Alpi e Miran Hrovatin with her camera man Miran Hrovatin who were investigating the toxic waste was killed. She believed that the Italian Army and other institutions were involved. Daryeel Bulsho Guud which is a Somali multi-clan Ngo did a field work and identified 15 containers of confirmed nuclear and chemical waste in eight arears. A former UN Special Representative for somalia Ahmedou Ould-Abdallah confirmed while he was in office that dumping was still continuing. Another problem relating to the invasion of the Somali coast is the foreign fishing piracy. As Mohamed Abshir Waldo interviewed by democracy now puts it, there are two types of piracy in Somali, one you have consistently been bombarded through media, the Somali piracy which actually requires to be redefined with maybe different terminology and the untold piracy formally known as the illegal foreign fishing piracy. Fishing is the only means of income for many Somalis along the coastline. Because of the mass fishing and water pollution the number of fishes have drastically decline, meaning less fish and more hunger for the fishing communities. The fishermen complained a number of times to the United Nations and the European Union but no steps were taken to address these issues. In 2006 alone 700 foreign companies were fishing o 3,300 kilometres along the Somali coastline. In act of desperation the fishermen took their arms to protect their fishing rights and food sources. More fishing companies are however now joining the feast, protected this time by their country’s navies and warships. Mohamed Abshir Waldo said that all southern European countries, likeweise UK, Italy, Spain, some Scandinavian countries, Russia, Taiwan, Korea, China, Iran and many more are now there http://www.mareeg.com/fidsan.php?sid=8987&tirsan=3. There is a believed that the only solution to this suffering is that if all countries involved could put an end the dumping, clean up waste sites and secure the fishing communities fishing rights. Unless there is an international body that take actions rather than words, unless governments start to understand that stealing and harming would do more harm than good, unless individuals from these countries start reflecting the hidden side of the story, things will unfortunately be the same, injustice and more injustice . An example of how the common land can be taken away from the people in order to make profits, is the case of Haiti which shows that no matter how bad the human suffering, it is still the interests of those with money and power that come first. However, in July 14, 2010 Democracy Now reported on what is happening in reality in Haiti and how the resettling of the Haitian people has been handled. Long time Haitian democracy activist, Patrick Elie, explains that after Haitian independence, the country’s elite took over the common land, pushing the people to the mountains. Intrestingly, according to him, this is also one of the reasons explaining the deforestation of Haiti. So today it is almost impossible to figure out, who in reality owns what part of the land. Kim Ives, Haiti Liberté journalists, reports that the Haitian elite – still – control huge parts of the land that could be perfect for resettling the people. However, he continues, the elite keep the best part of the land for themselves and are selling the worst part of the land with high profits. According to Ives, the Interim Commission that was supposed to bring help for rebuilding Haiti, is in fact controlled by foreign bankers and governments like the USA and France together with institutions as the IMF, World Bank and several multinational corporations like Halliburton and Blackwater who are there to make sure of their own interests are seen and to be able to get their share of the billions promised for rebuilding of Haiti. The Commission also has members from the Haitian elite who want to make sure that they can keep good land for themselves where to build their luxury houses and offices. Mario Joseph, Haitian Human Rights Attorney, calls this as coup d’état as the Commission took over the power from the parliament without any transparency and is now acting without any accountability. So, Democracy Now asks, where do all these people then go? Democracy Now reports that the bourgeoisie own large pieces of land that could be used for rebuilding but instead of doing this, land that has been used as the commons by the Haitian people is been taken away. Democracy Now uses as an example the community of Ganthier. According to Kim Ives, Ganthier is a rural community of 72 000 people who have used tracks of state land as common land to grow food for 80 years. Now that land has become so important, businessmen have started coming into the community claiming land with false papers and pushing peasants out of the land. When the peasants resisted and attacked back, they became the criminals that police is hunting down. According to Democracy Now interview, even the Mayor of Ganthier, Ralph Lapointe, was also arrested when he did not approve the eviction of the peasants. So it could be argued, like Kim Ives puts it, the question of Haiti is not geological, it is a war between the classes over land. According to him, Haiti is in the point where it would be crucial for the people to have access to the land and start building their houses and farming their land in order to secure food production but unfortunately they are seeing little of this as when there is a chance for profit making, the destiny of the people does not seem to be of any interest. Global warming.Do we need to change ourselves? In our first lecture,Global warming was discussed as a burning issue of 21st century. It is agreed by scientists that the mean global temprature is rising. CO2 is considered as a major gas reponsible for global warming along with water vapor,CFCs,ozone,and methane etc.CO2 is contributing about 60% in global warming. Once released into atmosphere, it may remain about 50-200 years. Miller, T,. (1996) Living in the environment. If we look at its sources,power staions are its major source of production (37%) followed by transport 21%, industries 18%, domestic 16% and other 8%. ( Climate change: The uk programme 2006).Along with its release from these sources,we are also contributing to rise in its level be means of deforestation. According to an estimate, the CO2 concentration in the air was 314 ppm in 1958 that was gradually rise to 355 ppm in 1992 and 388 ppm in 2010.To see full table click Here . Droughts, rising sea level, loss of biodiversity are some common problems linked to it. Miller,T,. (1996) Living in the environment. p. 305. As we discussed about the copenhagen conference, which was ended without any significant result, make me think that why we are relying on few thousand peoples to decide about our future. Global warming is an issue of every single specie inhabiting on earth. What i believe, more or less, every one of us is contributing to global warming. When i was trevelling on the tube, i saw 100s of people many of them were comming back from offices. What about if every one of them was driving rather than travelling on the tube and what about 100s of people on the following tube. As we know that transport is contributing 21% to global warming, and according to an estimate, a small car emits 0.1 kg of CO2/passenger/km while a tube emits 0.07 kg of CO2/passenger/km. It is just an example.We should change ourselves and work individually for the betterment of environment and it will make difference at some point. “Never underestimate the power of a small group of comitted people to change the world. Hearing Massimo mention the Structural Adjustment Programme (SAP) a few times in our last lecture juggled my memory to my secondary school days back home in Ghana. The SAP dominated news in the tabloid in that era and a lot of politicians seem to embrace the SAP with open arms. So considering the seemingly lasting negative effects or problems of the SAP, I find it amazing how it was seen as the ‘mother’ of all solutions- as it was going to turn Ghana into a developed country in the long term -An idea that remains an illusion. There is no hiding from the fact that Ghana saw some significant transformation over the years with the Structural Adjustment Programme. Under SAP, Ghana’s annual inflation dropped from 123% p.a in 1984 to 10% in 1999. Also, there was a shift towards the developing non- traditional exports goods like horticultural products and art and craft. Again Ghana experienced consistent growth in GDP(4-6%) which signifies a huge increase from 1.5% in 1970-83. Thanks to the SAP Ghana’s economy has attracted foreign capital in areas like banking, Telecommunication, mining and infrastructure. These positives notwithstanding, the SAP left Ghana with a legacy of negatives that requires an inquest into the real gains of such policies. The program brought with it the concept of Modernization which meant Ghana had to follow same patterns that were deemed successful in the Global North especially USA which demanded that Ghana shelved certain cultural, social and behavioural traits which were seen as anti development by the Bretton Wood institutions. Significant borrowing s over the years which is a feature of the SAP has resulted in Ghana being listed among the 41 highly indebted poor countries (HIPC,) http://go.worldbank.org/TQUQE8C1M0,Serrcing serving the debt from these borrowings takes a large proportion of the Ghana’s export revenue and as a result spending on basic infrastructure, health and education suffer immensely. It’s worth mentioning that the external indebtedness is largely to the IMF and other Bretton Wood agencies, plus organisations in the G-7 countries (G-7 countries are the brains behind the SAP and benefit directly from these borrowings). There was also the issue of devaluation of currency which has left its negative impact the country’s ability to import (2.75 cedis = US$ 1 in 19983 to 22,500 cedis = US$ 1 at present). Again, there was drastic cut back on government expenditure on vital services like education, health and welfare. Private sector and government employment also suffered cuts backs. Primarily, the SAP was seen as model for development: thus economic growth (increase in GNP and GDP with a trickledown effect), poverty alleviation and reduction in unemployment amongst others. However, there is evidence that the SAP hasn’t fulfilled its primary goals. One can argue that there are more poor people in Ghana now than there were prior to the introduction of the SAP and the gap between the rich and the poor seem to have grown wider. The increase in GDP has not had the expected trickledown effect. Economic success is not the same as welfare and the same measures indices will not be applicable to both. Economic growth alone cannot be seen as development as despite this economic that the SAP brought, Ghana has been sliding down the HDI scale since 1995 Human Development Report 2009 – HDI rankings. The global food prices have surged from 2007 and 2008 and had as a result led to an increase in the price for commodities such as rice, maize and wheat which are the staples in most developing countries diets. Because of the surge countries like Ethiopia and Somali who are largely depend on international food aid, required more emergency food aid. Soaring corn prices have sparked tortilla riots in Mexico City, Mozambique and many other developing countries. Because of the rising costs for food, the UN’s food program said that it required 500 million dollar in additional funding. I normally send monthly remittance to some family members back home (Somalia) and because of the food crisis I had to double the amount of money I was sending, so I have always wanted to know the core reasons behind this surge. There are a number of issues related to the cereal prices that are needed to be kept in mind, some of which are cyclical or short term (e.g weather, stocks, export restriction, speculation into agricultural markets) and others that are longer term (e.g emerging economic demand, oil prices, Biofuels). My discussion will however be related to the biofuels, the fuel versus food. As oil prices reached its peak and the ranging debates on how to reduce carbon emissions to slow climate change got stronger, many countries are adopting biofuels and considering it to be a renewable and clean source of energy. The increased demand for food crops exceeded the supply due primarily to biofuel policies in industrialised countries and to a lesser extent changing diets in rapidly-growing developing countries. Please take a few moment and look this diagram the food crop’s demand and supply. As the demand for biofuels increases, food production and feed demand also rises with it which leads to more output with higher price. Well what is biofuel and how is related to this issue? Biofuels are many kinds of fuels which are derived from biomass. Biofuel production has risen last few years. Commodities such as maize, sugar cane or vegetable oil can be used either as food or biofuels. Some experts argue that the reason why the food prices have risen is because the energy markets are in direct competition with the food markets for scarce arable land. This means that hunger for fuel in rich countries is now competing against hunger for food in poor countries. Report published by the OECD in July 2008 states that “…the impact of current biofuel policies on world crop prices, largely through increased demand for cereals and vegetable oils, is significant but should not be overestimated. Current biofuel support measures alone are estimated to increase average wheat prices by about 5 percent, maize by around 7 percent and vegetable oil by about 19 percent over the next 10 years. My believe is that the heavily subsidised biofuel industry is fundamentally immoral as it diverts land which should be producing food to fill human stomach and not producing fuel for car engines. After doing some analysis the international food policy institute IFPRI found that biofuels contributed 30% of the food price rice from 2006 to 2007. Apart from the food crisis, other issues related to biofuel are deforestation, soil erosion and impact on water resources. As Jeff McNeely put it “Biofuels could end up damaging the natural world rather than saving it from global warming”. The question is: is it going to be food for thought or food for fuel. Much of the required reading for this week deals with the issue of water and peoples’ rights and access to it. Massimo sites many examples of community management of water in Bolivia and Ecuador, and how it creates a sense of responsibility and ownership for each individual. This made me wonder about other developing communities and whether or not this same model would be as effective there. In my time in Kenya, I saw many non-profit and NGO programs fall victim to theft and embezzlement by trusted Kenyan workers. So when I envision a community managed water program there, I am skeptical that the monthly monetary contribution each family has to make will actually end up going towards the program and not the pockets of the collectors. In areas with such extreme poverty and lack of resources, it’s not shocking or unexpected that people would take advantage of this new access to money when given the opportunity. But this story could have had a much more tragic ending. The success of these types of community management programs obviously relies largely on the variables of the community and the education of those members involved. Like Massimo stated in his blog about Don Abdon, who after receiving a degree in Agronomy was able to help his community build a well, experienced and educated members need to be available for those lacking knowledge about the way these water systems work. The Kenyan woman who is now managing the water program in Lolpulelei was appointed this responsibility because she’s one of the only community members who is educated and knows how to keep records. Without her education, the male elders may have already let the system fall to dysfunction. Regardless of the outcomes in these many different communities, it is still obvious that access to water is part of the commons and should remain accessible to the public without privatization. As Robert F. Kennedy Jr. from the Waterkeeper Alliance states in a CNN article on water justice, “the law of the commons is that whether you’re rich or poor, everybody has the right to the public trust asset. Nobody has the right to use it in a way that will diminish or injure its use and enjoyment by others.” Water privatization takes the rights away from the people and further decreases access to an already limited resource. You are currently browsing the Sustainability and the commons blog archives for October, 2010.